Der Artikel Musik f.Orgel,Bläser & Schlagzeug wurde in den Warenkorb gelegt. 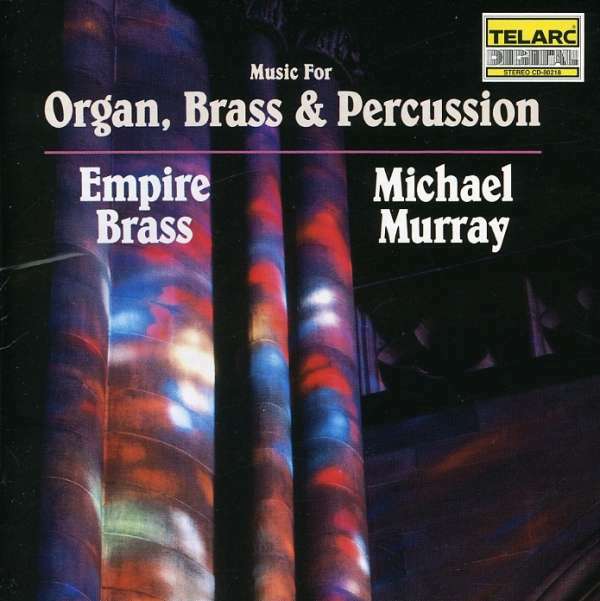 This tour-de-force of sonic thrills and musical virtuosity represents the first collaboration between Telarc artists Michael Murray and the Empire Brass. 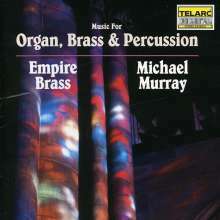 The dramatic combination of brass, organ, and percussion has a proven appeal to many types of listeners, but has never before been recorded on Telarc The dramatic combination of brass, organ, and percussion has a proven appeal to many types of listeners, but has never before been recorded on Telarc. Now audiophiles as well as collectors of serious musical repertoire will be dazzled by this release, which showcases brilliant performers in splendid Telarc sound. There are thirteen selections ranging from the heroic to the mystical, many of which were expressly arranged for this recording by the artists. The Empire Brass has been augmented by six guest artists, bringing the total number of brass players to eleven. Michael Murray plays one of the finest Aeolian-Skinner organs in the country, at the Church of the Advent in Boston. Composers from early times to the present have been quick to recognize the musical possibilities of the combination of organ, brass, and percussion. This recording captures, in marvelous Telarc sound, the diversity, utility, and excitement inherent in these unique expressive materials. H. Arnold in stereoplay 10 / 90:"Bis zu elf Blechbläser, zwei Schlagzeuger und ein Orga- nist demonstrieren die hohe Schule des Super- sounds, der auch von der Technik adäquat eingefangen wurde. Höchste Bewertungen für die Interpretation und Klangqualität."